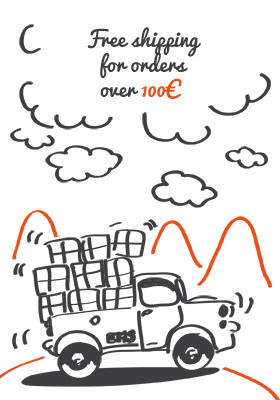 We work with the French post office (Colissimo), the Belgian International post office (Bpost), DHL and Mondial Relay for deliveries in Relay points. For most countries the delivery time varies from 2 to 8 working days. For United States, Canada and Mexico we ship with Bpost for order under 60euros and with DHL for order over 60euros.